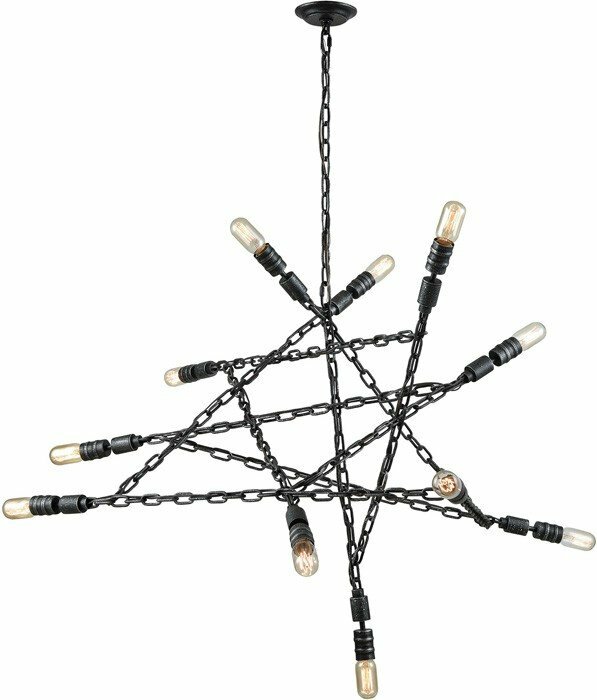 The Entangled chandelier has thick steel chains that are welded into a series of straight lines forming a continuous zig-zag of tangled art. 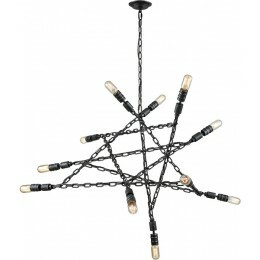 Each corner has a light that protrudes outward highlighting the chains' trajectories. The Silvered Graphite finish gives it a rough, weathered character.